Luxembourg School of Business, LSB, is a private business school that offers MBA programs and Executive Education in Luxembourg. Founded in 2014, is the first business school in Luxembourg which had to meet the requirements of the new legal framework put in place in 2016, focused on raising the quality standards. LSB has been accredited by the Luxembourg Ministry of Higher Education and Research via a ministerial decree dated as of 29 August, 2017 for the duration of five years. Also accredited as a training provider inside the Lifelong Learning initiative  of the "L'Institut national pour le développement de la formation professionnelle continue"  of Luxembourg. Weekend Part-Time MBA Program  is a 24-month-long program divided in 6 modules, each lasting 15 weeks. Classes take place every second weekend (Friday evening and Saturday). The average workload is 20 hours per week (classes included). Full-Time MBA Program  an intensive 12-month-long MBA divided in 3 semesters of 16 weeks. Classes take place every weekend (Friday evening and Saturday). The estimated workload is 40 hours per week (including classes) consisting of 10 hours of lectures per week plus 30 hours of individual/group work and assignments. Executive Education is ranging from short Open programs or Certificate programs to customized programs at the multicultural society of Luxembourg  tailored specifically for international business professionals and leaders. Open Enrollment Executive Education Programs consist of workshops and seminars designed to improve participant’s specific capabilities and competencies. Programs take place on an ongoing basis throughout the year covering a broad range of topics. Series of development workshops aimed at C-Suite leaders who face various challenges in leading an organization. Company-specific programs designed by LSB faculty members to be adapted to organization’s policies and strategy. LSB Faculty Members cooperate with business schools and universities around the world. 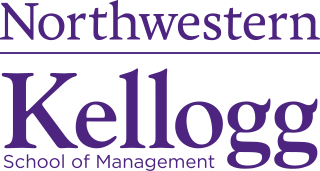 The Kellogg School of Management at Northwestern University is the business school of Northwestern University. Its main campus is in Evanston, Illinois, with additional campuses in downtown Chicago, Illinois and Miami, Florida. Kellogg offers MBA, MSM, and PhD programs, along with dual-MBA/JD, dual-MBA/MDI, and MMM programs. Kellogg partners with schools in China, France, Singapore, India, Spain, Hong Kong, Israel, Germany, Canada, and Thailand. Emory University's Goizueta Business School is the private business school of Emory University located in Atlanta, Georgia, United States. It is named after Roberto C. Goizueta, former president of The Coca-Cola Company. The American International School of Bucharest (AISB) is a multicultural and international school located in the town of Voluntari, 5 km outside central Bucharest, Romania, set on a 10 hectare campus. English is the primary instructional language. The school was founded in 1962 by the United States Embassy. It is one of the only schools in Romania authorized to offer students the International Baccalaureate (IB) program. This includes the IB Primary Years, Middle Years and Diploma programmes. Cambridge Judge Business School is the business school of the University of Cambridge. The School is a provider of management education and is consistently ranked as one of the world's top business schools, with the Cambridge MBA programme ranked among the top in the world by Bloomberg, the Financial Times, BusinessInsider, US News & World Report and Forbes Magazine. It is named after Sir Paul Judge, a founding benefactor of the school. The UBC Sauder School of Business is a faculty at the University of British Columbia. The faculty is located in Vancouver on UBC’s Point Grey campus and has a secondary teaching facility at UBC Robson Square downtown. UBC Sauder is accredited by AACSB. The Rady School of Management at the University of California San Diego is a graduate-level business school offering full-time and part-time Master of Business Administration (MBA) programs, a full-time Master of Finance degree and a full-time Master of Science in Business Analytics degree. In addition, the Rady School has a Ph.D. program, offers non-degree executive development programs, and undergraduate courses including minors in business, accounting and entrepreneurship & innovation. The Rady School of Management is the second-youngest professional school at the University of California San Diego, one of the top-ranked institutions in the U.S. for higher education and research. UC San Diego's lineage includes 16 Nobel laureates. The Olin Business School is one of seven academic schools at Washington University in St. Louis. Founded in 1917, the business school was renamed for entrepreneur John M. Olin in 1988. The school offers BSBA, Master of Business Administration (MBA), MS in Supply Chain Management, MS in Finance, Masters in Accounting, MS in Customer Analytics, MS in Leadership, Executive MBA, Doctor of Business in Finance (DBA) and PhD degrees. In 2002, an Executive MBA program was established in Shanghai, in cooperation with Fudan University. The University of Hawaiʻi at Mānoa Shidler College of Business is located in the U.S. state of Hawai‘i and is the state's only public business school with graduate, executive and PhD level programs. Established in 1949, the Shidler College of Business is named after The Shidler Group's Jay H. Shidler, founder and managing partner of The Shidler Group, a Honolulu-based company focused on commercial real estate and credit-related investments. In 2014, Mr. Shidler increased his initial gift of $25 million to $100 million, making it the largest donation at the University of Hawaii from a private donor.